Probate is the legal process that takes place when a person dies leaving a will. The New York State probate process can be difficult to navigate through. For more information about the probate process, you should contact the experienced New York estate planning lawyers at Goldfarb, Abrandt, Salzman & Kutzin LLP. Our knowledgeable lawyers can walk you through the probate process and answer all of your legal questions in clear, easy-to-understand terms. In New York state, a will only has to be submitted to probate if the decedent’s remaining assets are worth $30,000 or more. Such assets do not include any property or funds that transferred via pay on death accounts, in trust for (ITF) accounts, or joint ownership, as these automatically bypass the probate process. If the remaining assets are worth less than that amount, the family may opt for small estate administration instead of full probate. The decedent signed the will before two or more witnesses, declaring that it was his last will and testament and requesting that the witnesses witness his signature. Each witness must sign the will in the other’s presence. At the time of making the will, the decedent must have had testamentary capacity. The person making the will must have done so freely, without undue duress, coercion, or influence. There are several steps that must occur as part of the probate process. First, the decedent’s original will, along with a probate petition, are filed with the court. 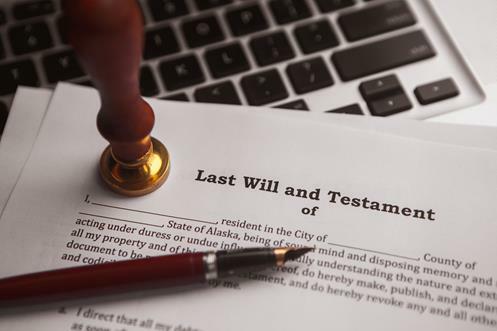 The court will then issue notice to anyone who has an interest in the will (i.e., could otherwise inherit under New York intestate laws or under a previous will), and those people can object to the validity of the will by filing a will contest. The court may appoint a guardian ad litem (for the proceeding) for anyone who is a minor or under an incapacity. Once the court establishes that jurisdiction is valid in the New York State county where the will was submitted and that the will itself is valid, the court will grant the probate (via a court order or decree) and will subsequently issue letters testamentary to the executor or executors whom the decedent named in his or her will. The executor has the authority to take charge of and administer the decedent’s estate. Specifically, the executor must inventory and identify all of the decedent’s property, have it appraised, pay debts and taxes on the property, and distribute the property in accordance with the decedent’s will. A relatively simply probate may only take a few weeks. However, in some instances, the probate process can be more lengthy. This is especially true in cases where a family member or someone else is under an incapacity or is contesting the will. The experienced estate planning lawyers at Goldfarb, Abrandt, Salzman & Kutzin LLP can ensure that the probate process moves as quickly and efficiently as possible.